February will see the famous Teedra Moses grace the stage at London's KOKO for her annual London show. 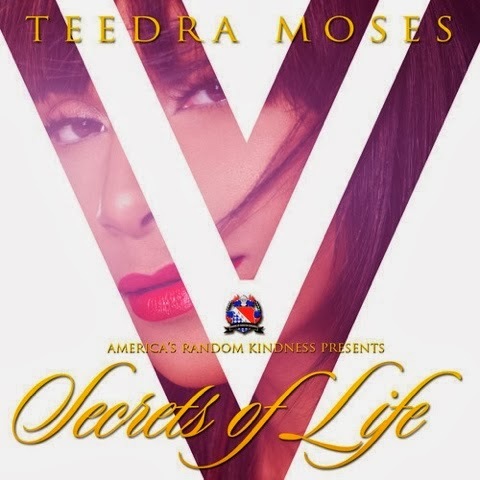 But in the meantime ‘#teamTeedra’ have a new song for them to unwind to and enjoy - ‘Secrets of Life’ is the new number from Teedra. "The A-R-K is a non profit organization that helps families affected by the foreclosure crisis get back into homes and homeownership. It's a great cause! #AmericasRandomKindnes #WeMustHelpOthers #BlackMosesMusic #LionessLuv PLEASE HELP OUT!!" Support ‘Secrets of Life’ on iTunes and support a good cause.